“Fujitsu implemented a first of its kind solution for a New Zealand enterprise government agency, with its implementation of Windows 8.1 solution at the Ministry of Primary Industries,” Kendrick says. “Spark Digital's work at Downer shows how a change of infrastructure can really improve how a company operates,” Kendrick says. “Stellar Consulting have provided a comprehensive BI platform to their customer, handling the challenge of complex data integration across multiple source systems,” Kendrick comments. 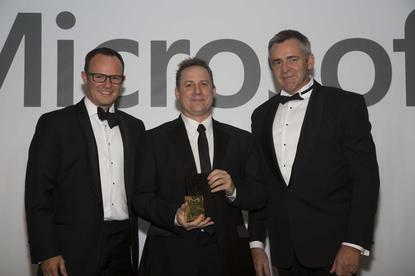 “Their solution for Toyota New Zealand is recognised for the innovation and software development for managing complex Meta data and data integration. “Marker Metro created a Windows 8 application for Plunket that benefited from the strong integration of Dynamics CRM, Azure Active Directory and SQL,” Kendrick adds. “Leapthought's Fulcrum application provides a unique, best-in-class solution for Capital Infrastructure Projects such as those at Auckland Transport,” Kendrick adds.